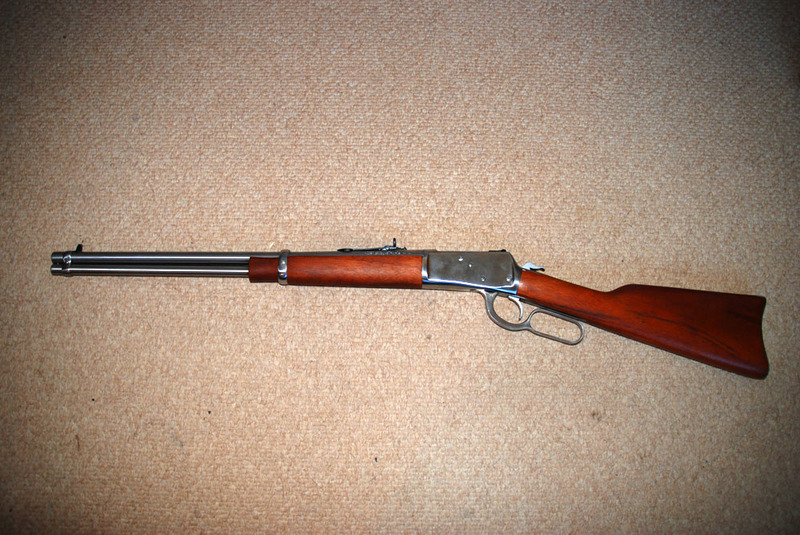 My first under-lever, bought for Gallery Rifle competitions was a Winchester ’94 AE (replica – of course!). I really enjoyed shooting it but the action was just too unreliable for competitions and there was a high risk of it not cycling properly and causing jams at crucial moments. I managed to sell it though (well, ‘buyer beware’ and all that!) and I used the cash raised to get this gun. 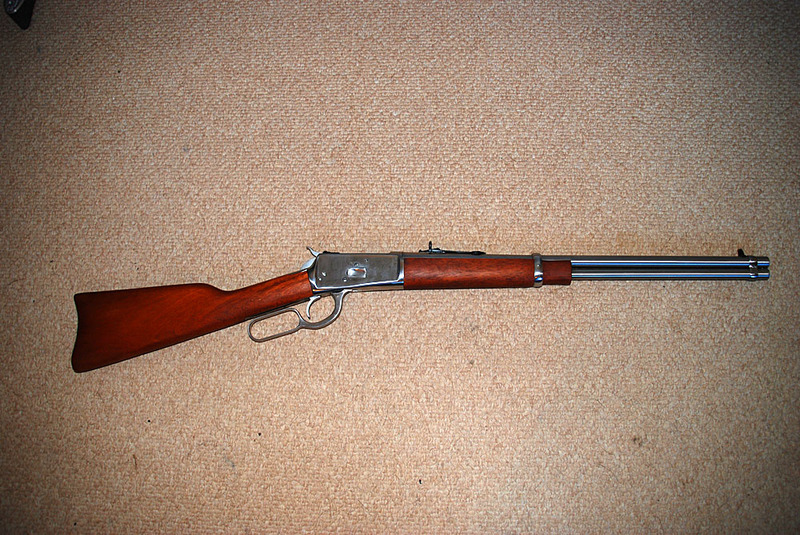 I had intended to go for a Marlin 1894C which had been highly recommended as a good all-round competition under-lever. Anyway, they showed me this stainless steel Rossi and swore blind that even though it was £300 cheaper than the Marlin the action would be smooth and sweet. And as I had already decided that a scope on a cowboy gun isn’t for me, I decided to save a little cash. I also got a great deal on a CZ452 .22 bolt-action as part-exchange. I am delighted to report that the action is as smooth as they claimed. Sadly my shooting with iron-sights is rubbish – but it’s a good excuse for having to practise so much, especially if I’m going to stand any chance of not finishing last when I use it in competitions!